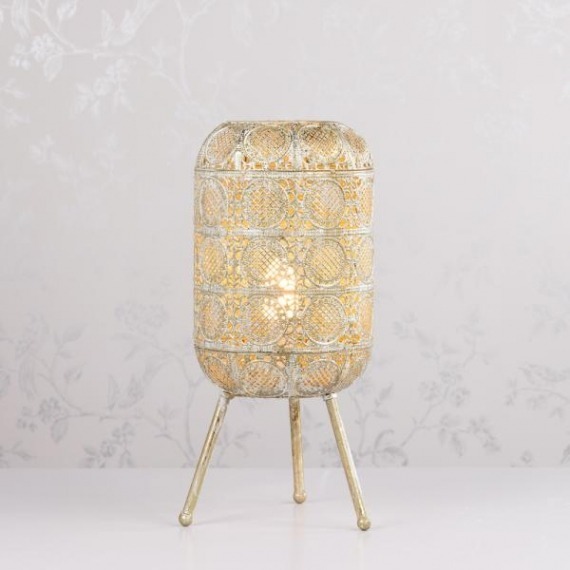 With a mosaic of mirror fragments along the base, you're sure to love the disco ball effect that occurs when the light reflects off the many gleaming components. 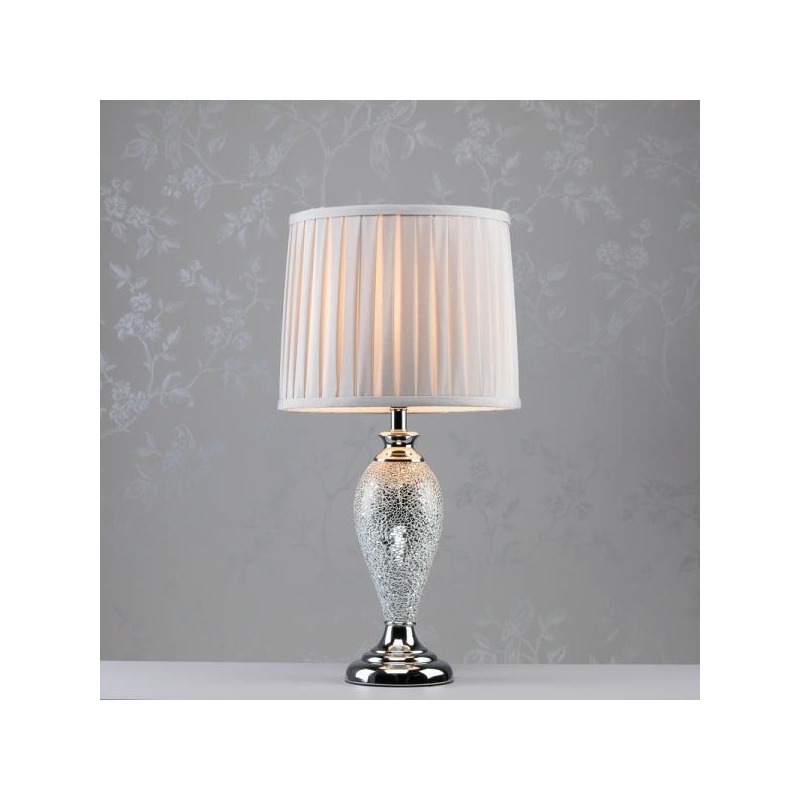 A soft grey pleated shade adds a casual touch to this statement-making piece. 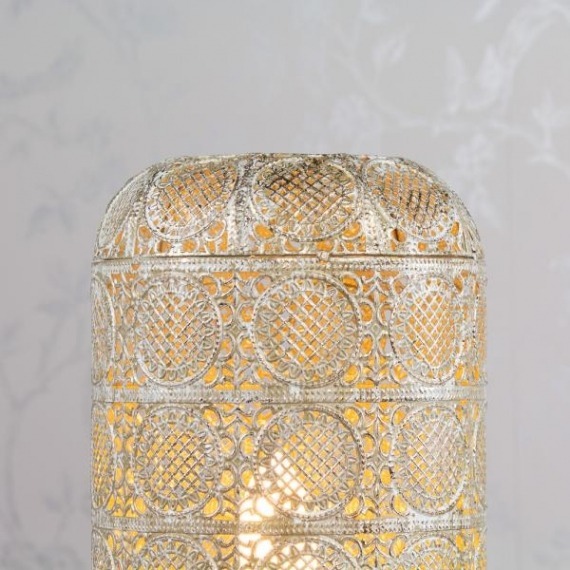 Let Rabbettes Furniture & Interiors help transform your house in to a spectacular, show stopping home with the most beautiful lighting & accessories. 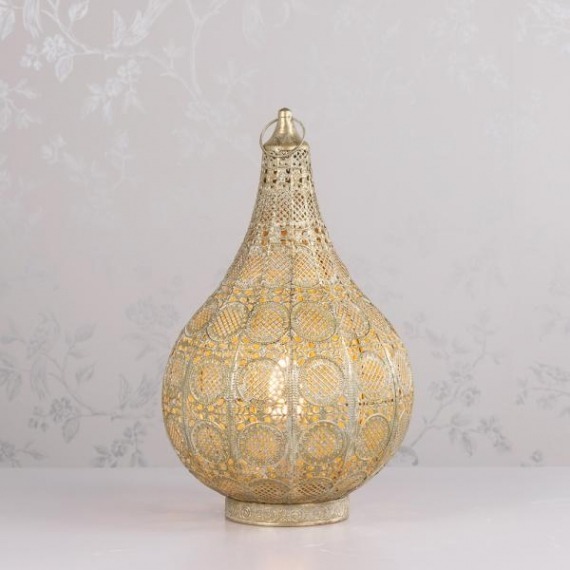 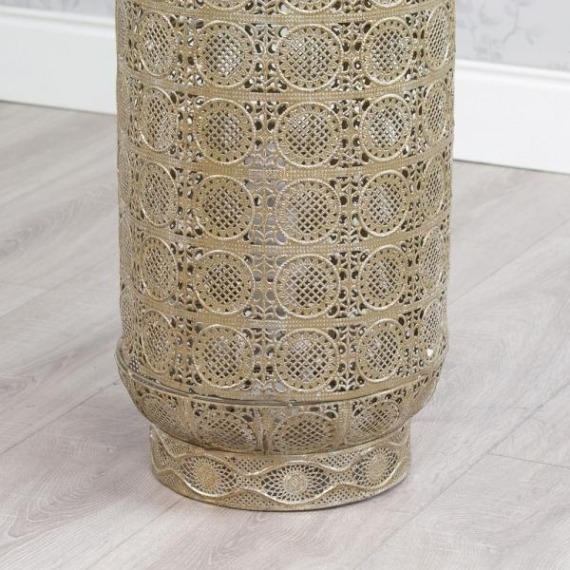 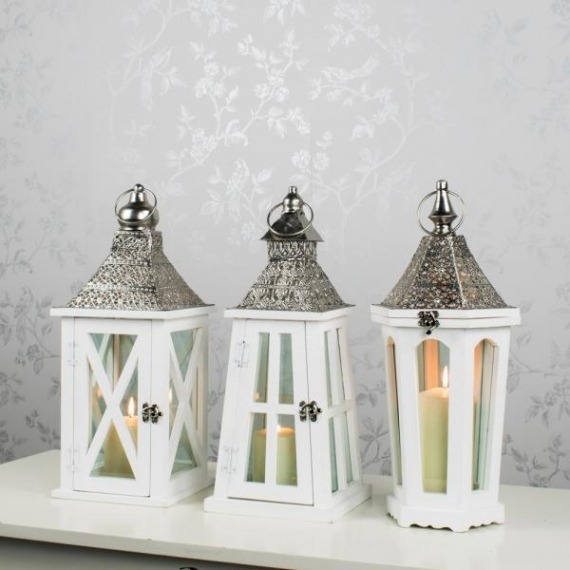 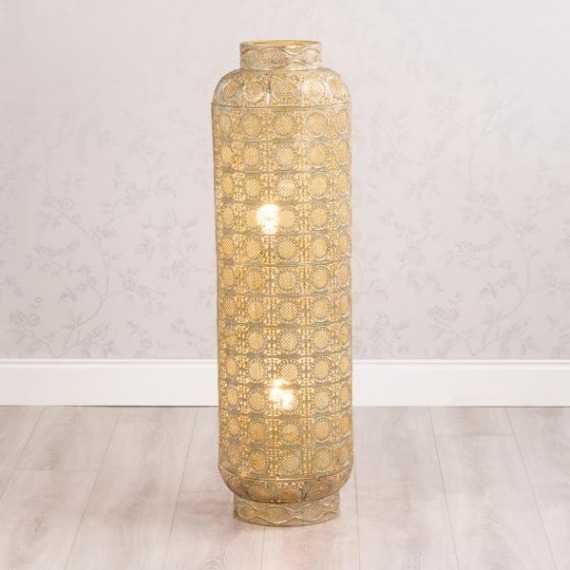 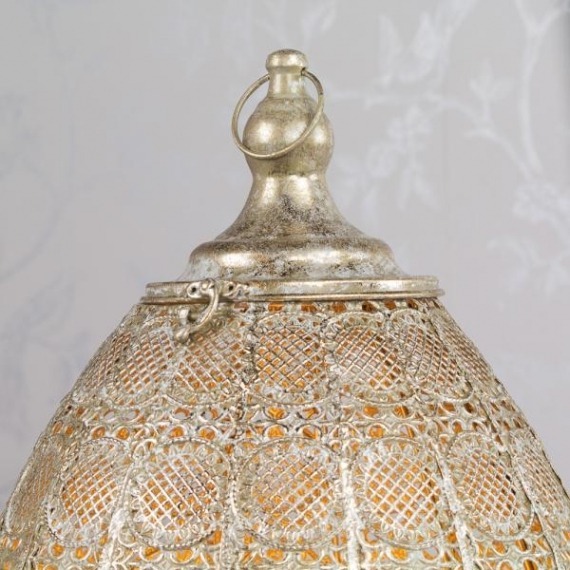 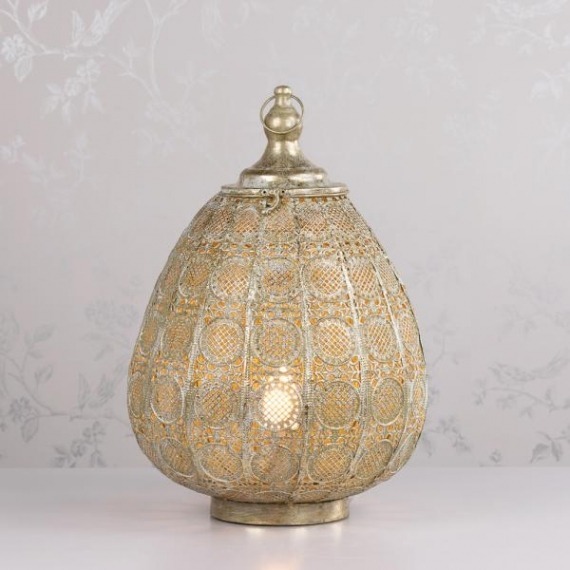 Our extensive range of lamps can create a beautiful ambience & atmosphere in any home. 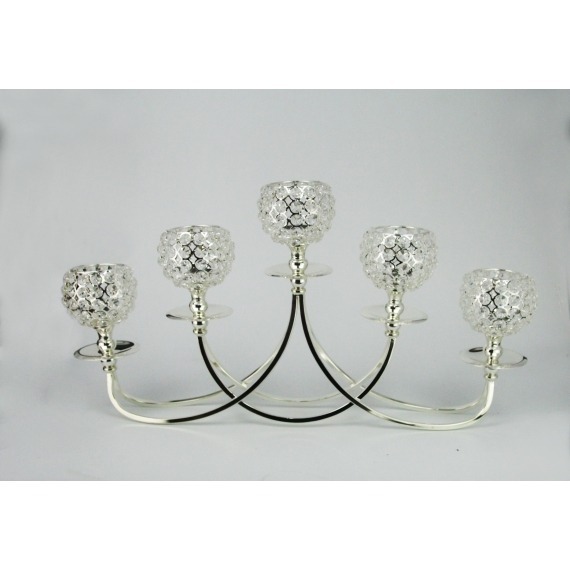 Able to open up a room, let the bright light bounce around, and add style to your space, mirrors are must-haves for any home. 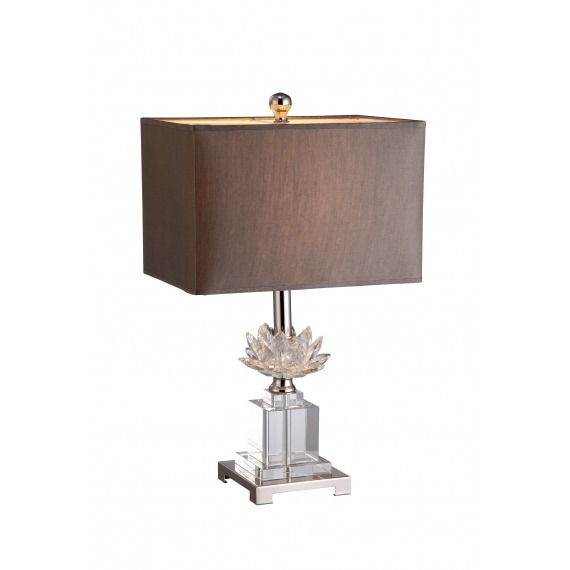 This stunning Lily Table Lamp brings radiance to any room or bedside table. 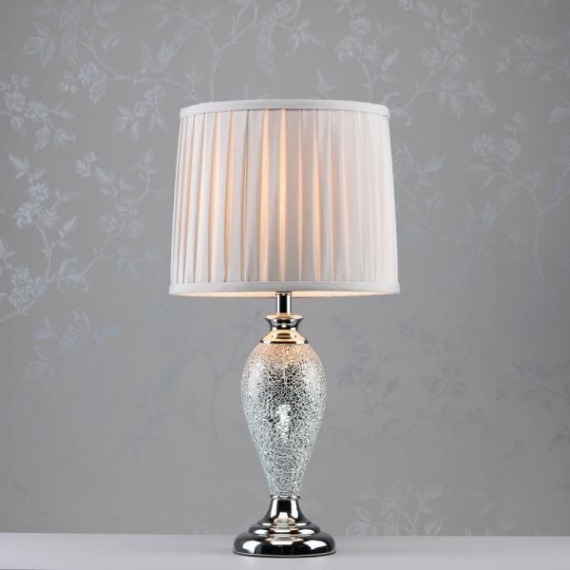 Polished chrome finish complements the intricate detailing of the signature flower crystal cut, while the rectangular grey linen shade beautifully diffuses the light. 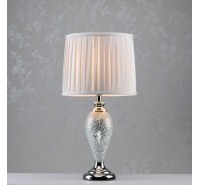 H21 inches.